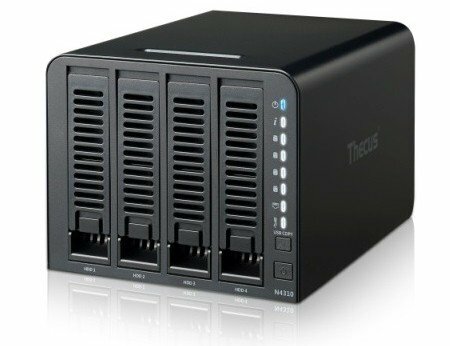 Thecus is pleased to announce the newest addition to its lineup of home, SOHO, and SMB NAS solutions, the N4310. Featuring an AMCC 1GHZ SoC with 1 GB of DDR3 memory, the new 4-bay NAS offers exceptional performance and easy data management at an unprecedented value. Addressing the evolving needs of business professionals pursuing a highly efficient NAS, the N4310 utilizes Hybrid Mode Storage for resource management. The Hybrid Mode Storage Feature allows for both File level storage for shared data and Block level storage for dedicated data. 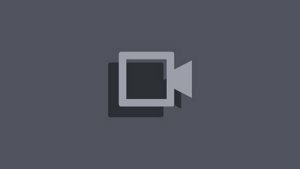 AES Data Encryption for added security when dealing with sensitive data and a built-in FTP server for optimal file sharing to ensure the N4310 is a well-rounded system well adapted to the needs of all users. The unit is also equipped with a CPU Offload Hardware Engine, allowing for high performance and speed within a RAID environment (100MB/s read and 75MB/s write speed). For even further security, lockable drive trays come optional, while power redundancy (through dual power input) is supported standard. Supporting an extensive array of software, including Plex Media Server, a BitTorrent client, and the T-OnTheGo app for Android and iOS, the N4310 provides a strong platform for multimedia sharing. Beyond these, this latest 4-bay also offers media streaming and smartphone syncing, making it the perfect media data center. The N4310 will be available at the suggested retail price of $349.